Among the highlights of the show were panels providing indie authors with information, tips, and best practices on publicity, marketing, teambuilding, and websites. Among the exhibitors at the show were Lulu, Bowker, Smashwords, BiblioCrunch, BookLife, Author Connections, and Nook Press. 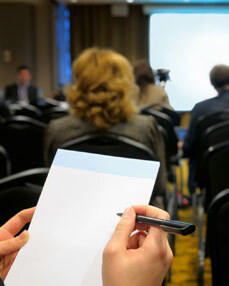 This is the sixth year of the conference, which is quite an indication of the growth in self-publishing since 2008. One other anniversary of note: today is the 7th anniversary of the Kindle. Coincidence? A new analysis of U.S. ISBN data by ProQuest affiliate Bowker reveals that the number of self-published titles in 2013 increased to more than 458,564, up 17 percent over 2012 and 437 percent over 2008. Print titles were up a very strong 29 percent over 2012, indicating the format’s continuing relevance to self-publishers. While self-publishing continues to grow, the pace appears to be normalizing after several explosive years. As the publisher, you are responsible for producing a quality product at all levels: writing, editing, design, printing, customer service and marketing (pricing, promotion and distribution). Poor quality – whether in product and service – can destroy a publishing venture over time. Negative word-of-mouth communication, whether in person, in blogs, in discussion groups and forums, or through social media spreads quickly and is difficult to overcome. While you cannot control what others say about you on these media, you can control the source of their pleasure or discontent by maintaining high levels of product and service quality. Here are Ten Aspects of Product and Service Quality.